Price includes: $1,000 - Kia Customer Cash. Exp. 04/30/2019 2019 Kia Niro LX Bluetooth, Dual AC, Cloth Snow White Pearl 4-Wheel Disc Brakes, Automatic temperature control, Exterior Parking Camera Rear, Front dual zone A/C, Fully automatic headlights, Power door mirrors, Radio: AM/FM/MP3/SiriusXM Satellite, Remote keyless entry, Steering wheel mounted audio controls. 51/46 City/Highway MPG Beaverton KIA is one of the first Kia Dealerships in the United states and is part of the Lanphere Auto Group. We've been around for 50+ years serving the local community on Beautiful Canyon Road...Come see us today for an amazing, no hassle experience! Price does not include tax, title and license. You may qualify for additional Kia rebates! Contact Us for details. Price includes: $1,000 - Kia Customer Cash. Exp. 04/30/2019 2019 Kia Niro LX Bluetooth, Dual AC, Cloth Runway Red Automatic temperature control, Emergency communication system: UVO eServices 911 Connect, Exterior Parking Camera Rear, Front dual zone A/C, Fully automatic headlights, Illuminated entry, Outside temperature display, Remote keyless entry, Steering wheel mounted audio controls. 51/46 City/Highway MPG Beaverton KIA is one of the first Kia Dealerships in the United states and is part of the Lanphere Auto Group. We've been around for 50+ years serving the local community on Beautiful Canyon Road...Come see us today for an amazing, no hassle experience! Price does not include tax, title and license. You may qualify for additional Kia rebates! Contact Us for details. Price includes: $1,000 - Kia Customer Cash. Exp. 04/30/2019 2019 Kia Niro LX Bluetooth, Dual AC, Cloth Snow White Pearl Automatic temperature control, Bumpers: body-color, Emergency communication system: UVO eServices 911 Connect, Exterior Parking Camera Rear, Front dual zone A/C, Fully automatic headlights, Outside temperature display, Radio: AM/FM/MP3/SiriusXM Satellite, Remote keyless entry, Steering wheel mounted audio controls. 51/46 City/Highway MPG Beaverton KIA is one of the first Kia Dealerships in the United states and is part of the Lanphere Auto Group. We've been around for 50+ years serving the local community on Beautiful Canyon Road...Come see us today for an amazing, no hassle experience! Price does not include tax, title and license. You may qualify for additional Kia rebates! Contact Us for details. Price includes: $1,000 - Kia Customer Cash. Exp. 04/30/2019 2019 Kia Niro LX Bluetooth, Dual AC, Cloth Aurora Black Automatic temperature control, Electronic Stability Control, Exterior Parking Camera Rear, Front dual zone A/C, Outside temperature display, Radio: AM/FM/MP3/SiriusXM Satellite, Remote keyless entry, Steering wheel mounted audio controls. 51/46 City/Highway MPG Beaverton KIA is one of the first Kia Dealerships in the United states and is part of the Lanphere Auto Group. We've been around for 50+ years serving the local community on Beautiful Canyon Road...Come see us today for an amazing, no hassle experience! Price does not include tax, title and license. You may qualify for additional Kia rebates! Contact Us for details. Price includes: $1,000 - Kia Customer Cash. Exp. 04/30/2019 2019 Kia Niro LX Smart Cruise, Lane Assist, Dual AC Snow White Pearl 4-Wheel Disc Brakes, Automatic temperature control, Autonomous Emergency Braking, Brake assist, Exterior Parking Camera Rear, Forward Collision Warning System, Front dual zone A/C, Front Fog Lights, Lane Keep Assist System, Leather Wrapped Steering Wheel, LED Daytime Running Lights, LX Advanced Technology Package, Radio: AM/FM/MP3/SiriusXM Satellite, Remote keyless entry, Smart Cruise Control, Steering wheel mounted audio controls. 51/46 City/Highway MPG Beaverton KIA is one of the first Kia Dealerships in the United states and is part of the Lanphere Auto Group. We've been around for 50+ years serving the local community on Beautiful Canyon Road...Come see us today for an amazing, no hassle experience! Price does not include tax, title and license. You may qualify for additional Kia rebates! Contact Us for details. Price includes: $1,000 - Kia Customer Cash. Exp. 04/30/2019 2019 Kia Niro S Touring Harmon/Kardon, Blind Spot, Nav Silky Silver ABS brakes, Blind spot sensor: Blind Spot Detection (BSD) w/Lane Change Assist (LCA) warning, Electronic Stability Control, Front dual zone A/C, Heated door mirrors, Heated Front Bucket Seats, Heated front seats, Illuminated entry, Low tire pressure warning, Remote keyless entry, Traction control. 51/46 City/Highway MPG Beaverton KIA is one of the first Kia Dealerships in the United states and is part of the Lanphere Auto Group. We've been around for 50+ years serving the local community on Beautiful Canyon Road...Come see us today for an amazing, no hassle experience! Price does not include tax, title and license. You may qualify for additional Kia rebates! Contact Us for details. Price includes: $1,000 - Kia Customer Cash. Exp. 04/30/2019 2019 Kia Niro S Touring Harmon/Kardon, Blind Spot, Nav Platinum Graphite UVO eServices w/ 8" Touch-Screen Display, Voice-Command Navigation System, Harman/Kardon® Premium Audio w/ Clari-FiTM, 8 Speakers, and Integrated Subwoofer, Lane Change Assist (LCA), Rear Cross Traffic Alert (RCTA), Bluetooth® Wireless Technology Hands-Free Connectivity, Smart Key w/ Push-Button Start and Immobilizer, Dual-Zone Automatic Temperature Control w/ Driver Only Mode, Cloth & Leather Seat Trim, 10-Way Power Driver's Seat Adjustment, w/ 2-way Power Lumbar Support, Heated Front Seats, ABS brakes, Blind spot sensor: Blind Spot Detection (BSD) w/Lane Change Assist (LCA) warning, Electronic Stability Control, Exterior Parking Camera Rear, Front dual zone A/C, Fully automatic headlights, Heated door mirrors, Heated Front Bucket Seats, Heated front seats, Illuminated entry, Low tire pressure warning, Power Tilt/Slide Sunroof, Radio: AM/FM/MP3/SiriusXM Satellite, Remote keyless entry, Traction control. 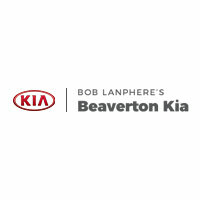 43/46 City/Highway MPG Beaverton KIA is one of the first Kia Dealerships in the United states and is part of the Lanphere Auto Group. We've been around for 50+ years serving the local community on Beautiful Canyon Road...Come see us today for an amazing, no hassle experience! Price does not include tax, title and license. You may qualify for additional Kia rebates! Contact Us for details. Price includes: $1,000 - Kia Customer Cash. Exp. 04/30/2019 2019 Kia Niro S Touring Harmon/Kardon, Blind Spot, Nav Aurora Black ABS brakes, Electronic Stability Control, Exterior Parking Camera Rear, Front dual zone A/C, Heated door mirrors, Heated Front Bucket Seats, Heated front seats, Illuminated entry, Low tire pressure warning, Radio: AM/FM/MP3/SiriusXM Satellite w/Navigation, Remote keyless entry, Traction control. 51/46 City/Highway MPG Beaverton KIA is one of the first Kia Dealerships in the United states and is part of the Lanphere Auto Group. We've been around for 50+ years serving the local community on Beautiful Canyon Road...Come see us today for an amazing, no hassle experience! Price does not include tax, title and license. You may qualify for additional Kia rebates! Contact Us for details. Price includes: $1,000 - Kia Customer Cash. Exp. 04/30/2019 2019 Kia Niro EX Lane Keep, HIDs, Nav, Smart Cruise Silky Silver 110V Inverter, 4-Wheel Disc Brakes, Automatic temperature control, Autonomous Emergency Braking, Blind spot sensor: Blind Spot Detection (BSD) w/Lane Change Assist (LCA) warning, EX Premium Package, Exterior Parking Camera Rear, Forward Collision Warning System, Front dual zone A/C, Fully automatic headlights, Heated & Ventilated Front Bucket Seats, Heated door mirrors, Heated Steering Wheel, High-Intenstity Discharge Headlights, Lane Keep Assist System, Leather-Trimmed Seats, Power Tilt/Slide Sunroof, Radio: AM/FM/MP3/SiriusXM Satellite w/Navigation, Remote keyless entry, Smart Cruise Control, Steering wheel mounted audio controls, Wireless Phone Charger. 51/46 City/Highway MPG Beaverton KIA is one of the first Kia Dealerships in the United states and is part of the Lanphere Auto Group. We've been around for 50+ years serving the local community on Beautiful Canyon Road...Come see us today for an amazing, no hassle experience! Price does not include tax, title and license. You may qualify for additional Kia rebates! Contact Us for details. Price includes: $1,000 - Kia Customer Cash. Exp. 04/30/2019 2019 Kia Niro Touring Smart Cruise, Leather, Lane Assist Aurora Black ABS brakes, Electronic Stability Control, Front dual zone A/C, Heated door mirrors, Heated front seats, Illuminated entry, Low tire pressure warning, Remote keyless entry, Traction control. 46/40 City/Highway MPG Beaverton KIA is one of the first Kia Dealerships in the United states and is part of the Lanphere Auto Group. We've been around for 50+ years serving the local community on Beautiful Canyon Road...Come see us today for an amazing, no hassle experience! Price does not include tax, title and license. You may qualify for additional Kia rebates! Contact Us for details.